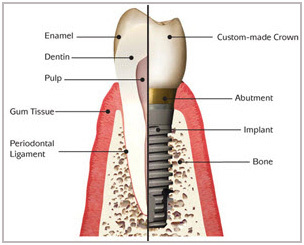 Dental implants are a strong, lasting, natural looking tooth replacement option. They are permanently secured into the jaw to replace missing or damaged teeth and unlike dentures, prevent shrinkage of the jaw bone and face, while restoring full chewing ability. 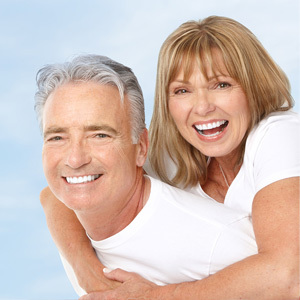 Dental implants are suitable for people of all ages, providing the growth of their jaw is complete. For some patients with advanced dental and gum disease, removal of teeth followed by replacement with dental implants can rid the body of dental disease while restoring full function and aesthetics.An adequate jaw bone is required to act as a secure base for the placement and integration of dental implants. 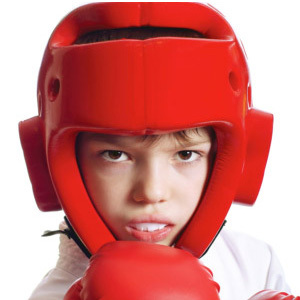 If adequate jaw bone is not present, it can often be created, using bone grafting or augmentation procedures.